Educating kids today is both a challenge and an immense reward. At times it feels like a puzzle. With children from such diverse backgrounds and experiences, it is contingent upon the educational community to meet the needs of all students. We need to realize that those varied backgrounds inform the students we see every day and those experiences may not align with rigid standards or tests handed down from the state. As educators, we know our students best and we should be afforded the flexibility to work with them in the ways we know will make them successful. One Comment on "Guest Post From Mike Matthews"
This is exactly where we need to go with the future of our education. We need teachers like this, and most of them are. The did not become teachers to line their pockets; they became teachers to make a difference. Of course, like the rest of us they have to live to. Meaning they need to get paid for their efforts. Technology has never been this good. That is why using the tests as a tool to determine a child’s strength and weakness, must be encouraged. The triple test is probably a good system. However forcing a teachers livelihood upon something she or he has not control over, sets up a situation for failure. If one’s financial future depends upon something as arbitrarily as how ones students handle a surprise test on any given day, only two things will result. One, all a students learning will be focused on “how to take the test and do well”. Two, there will be cheating. We are being rocked by scandals of school test cheating across this country. People once lauded for improving education, weren’t. The scores were being fixed. One would almost say “duh”..
We know a good teacher when we have one. That should be the criteria for tenure, and not something that can be taught at the expense of learning, or by faking the scores. And the tests should be used for what tests historically have always been used. Se what each student knows, and determine how to fill those gaps going into the future…. So, keep the tests. Just use them as a tool to help students and not use them as a tool to get rid of unionized tenured teachers you can’t legally remove otherwise…. The latter course of action is skewing the results, meaning our kids are not being taught what they need to know. 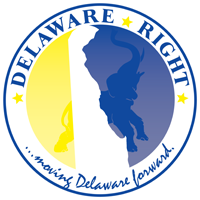 ← Making Delaware First, Again!